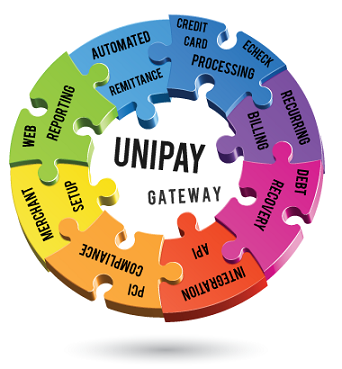 You are Here: UniPay Gateway > FAQ > What are the advantages of licensing the UniPay payment gateway? A licensed product is installed in your own PCI-compliant environment and gives you full control of the payment gateway solution. You pay no per-transaction fees while getting full integration with many payment processors and banks from the moment you complete the installation. Every aspect of how the gateway works can be tailored to your preferences. Why would we choose a hosted payment gateway solution? The UniPay hosted gateway solution has no upfront licensing costs and does not require a PCI-compliant environment. Plus, you don’t have any maintenance or infrastructure costs. Unfortunately, downtime is out of your control and you must pay for the hosting service. How is pricing different between the licensed and hosted payment gateway solution? The hosted solution involves various fees while the licensed version involves a single upfront investment. The hosted payment gateway solution involves transaction fees or per-MID fees or both, but when there are no transactions, there are no fees. Subscriptions are available that give you access to a set number of transactions and additional services. Your payment gateway questions answered by our team. Answer to a commonly asked question of the advantages of licensing the UniPay payment gateway solution.